I WAS SO EXCITED! 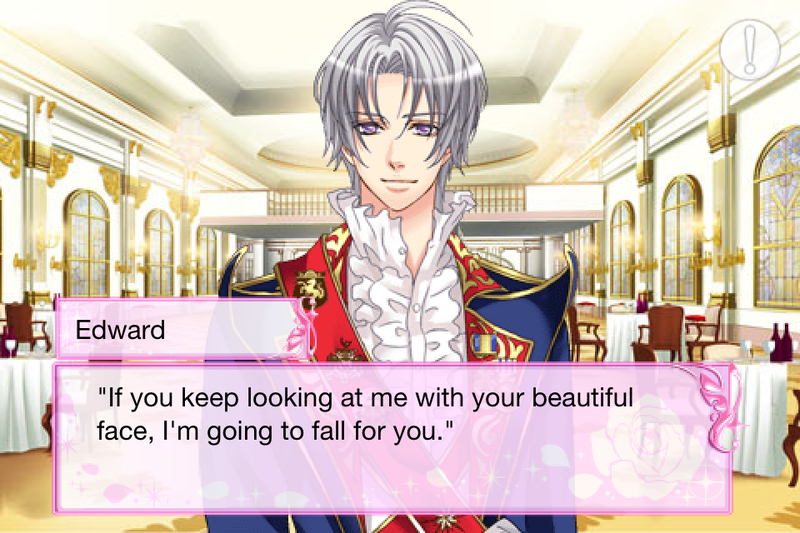 Glen is my Favourite character out of all the characters in Voltage’s Be My Princess, So when I found out that this came out I BOUGHT IT RIGHT AWAY. 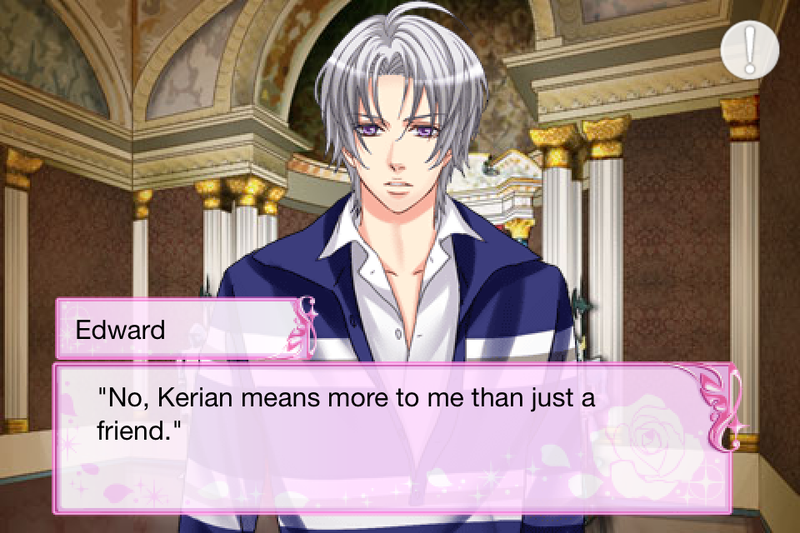 Like all the other Be My Princess sequels this one cost $3.99 CAD in the iTunes app-store, and includes 8 chapters split into two stories with a bonus Epilogue at the end if you get the happy ending. For each Story there is 2 endings; a Good, and a Happy Ending. And for Each story you get 2 Reward Pictures and 7 emails sent to your inbox. Is there something you’d like to eat? The Princess Training story was really good! Especially with the shocker of what happened between the MC, Wilfred and Glen in the middle! That totally got me off my seat and running around all excited (in my head of course, I try hard to keep my composure to not look like a weirdo while playing these games – ITS HARD but I manage) This story really confirmed everything I loved about Glen’s personality and character in the main story to here. 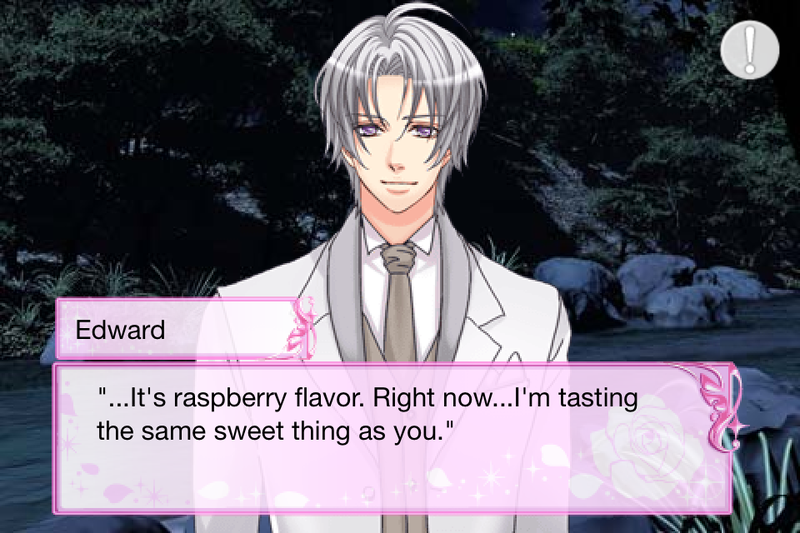 He really is the Perfect Man in my opinion, Just the right amount of Tsundere, and Sweetness and Confidence. I totally got scared and stressed out trying to figure out the solution to their problem and I kinda got it but wasn’t sure till they confirmed it in the end. But that thing with Wilfred totally knocked me off my feet, I still am excited over all that HAHA. I did like Royal Legend better but this story was still top-notch. Talk about Irony and Karma in Royal Legend! It reminded me so much of the time in Hana Yori Dango when Tsukushi and Tsubasa went though the exact same thing, except Tsubasa was SO RIDICULOUSLY MEAN TO HER. I was really happy about how this played out, and how Glen totally took this in stride. As his Fiancé I felt so frustrated and sad and in the end I ended up so happy – this story really got to me GOOD. In Hana Yori Dango, Tsubasa totally made me want to PUNCH HIM OUT and I knew that because Glen was such a Tsundere too It might turn out like that. 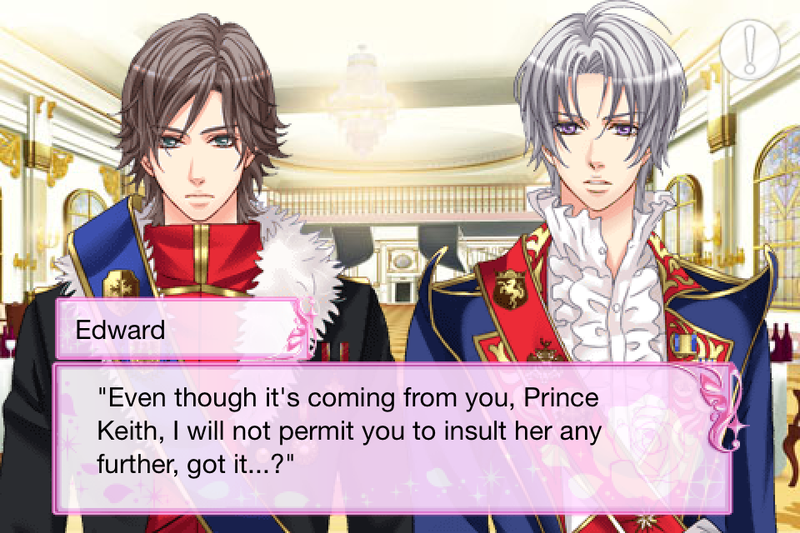 It definitely would if it was Prince Keith. He’s totally hard to handle – even in his own Epilogue. Yu in both stories was more of an annoyance here then in the main story. I liked him in the main story. I’m not sure if they wanted to portray it that way, or it’s just me in my head thinking that he should just give up. I think one reason though that I love glen stories so much is because I like the interaction between Yu, Glen and Alan. Also how Glen gets Jealous of everyone! I love Alan so much! he is the most adorable kid ever! I hope that wasnt too much of spoilers and more of a huge tease to all of you who want to get it. I loved both stories and they both didn’t disappoint. 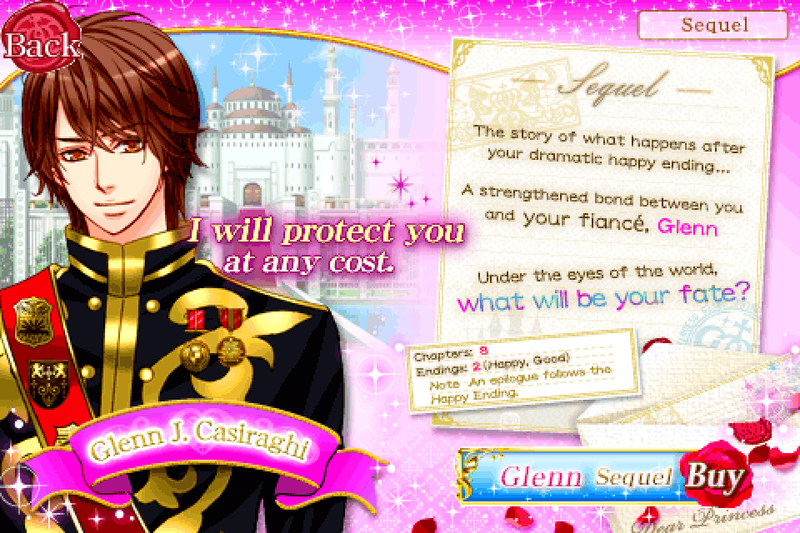 I’m VERY happy with Glen’s CG art, it’s very passionate and romantic and make him look so handsome all the time! Also, the emails totally make me wish my boyfriend read them all so that he knew how to email me love letters! 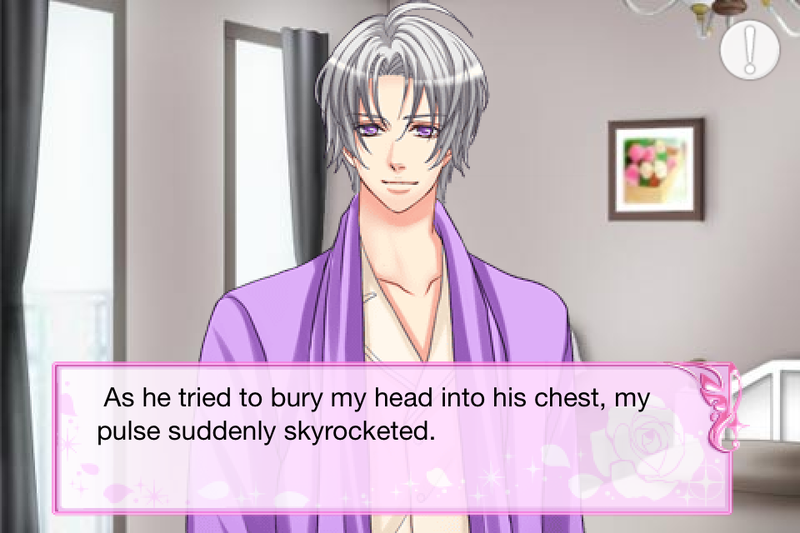 I get so jealous if the MC when I read them! A MAN AS PERFECT AND ROMANTIC AS GLEN is as likely to find as a unicorn in your backyard though. But one can still dream! I will play them again because the were that good =) and I’m very happy I got my moneys worth. So far this is my favourite of the 4 Sequels I have purchased. I can’t wait for Edward’s and Joshua’s to come out.